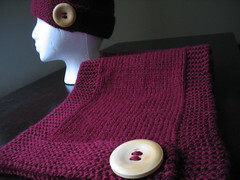 Made from Patons Shetland Chunky. 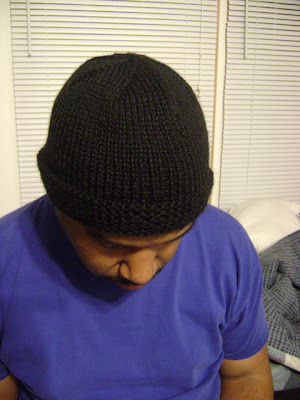 Since I went and snagged myself a Snookums who sports a bald head, it is my responsibility to help keep said head warm. 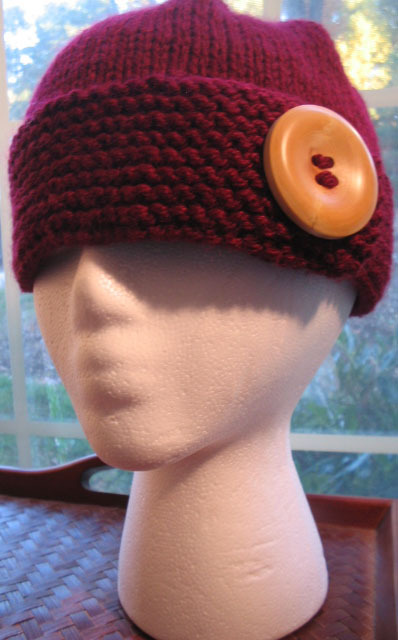 After all, I'm the one with the warm yarn and the fancy skills to make hats. I have a secret mission to rid Snookums' closet of all store bought hats, and replace them with much better, love infused handmade ones. He asked me to make him a hat one day. I asked him, "If I make you hats, do you promise to wear my hats and my hats only, forsaking all other hats, for as long as we both shall live?" "How about I show favoritism towards your hats and wear the others less often?" That answer will do for now. That is, until my plan is set in motion. 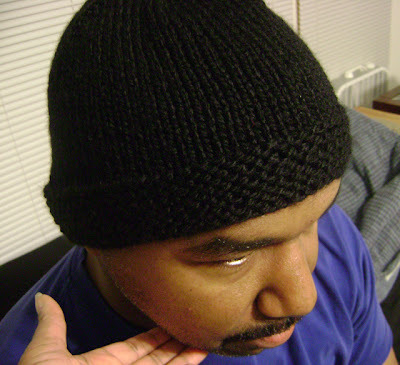 I think that once he gets this soft Bamboo Wool yarn on his noggin, he'll be setting a flame to those store bought doohickeys. 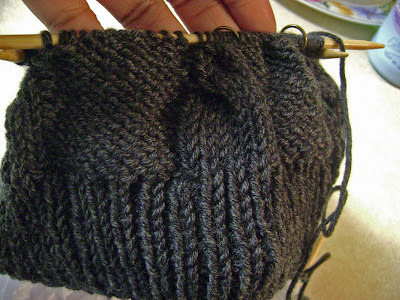 The Beginnings of a Cable Knit Hat from Moda Dea's Bamboo Wool. I think the plan is already starting to work. He took a nap on Sunday while still wearing the first hat. Now, where ARE those matches?